After Venice we jumped on a train to Florence, changed trains to get to Arezzo and this is where we picked up our hire car to drive to Montone. I could tell you a few funny stories of starting to drive on the wrong side of the road (yes, I found myself here on the odd occassion) and indicating to turn off a road which left us gliding to a stop with a reving motor. You see where the flicker is normally for me was the gear leaver, so I kept accidently kicking the car out of gear when I wanted to indicate. 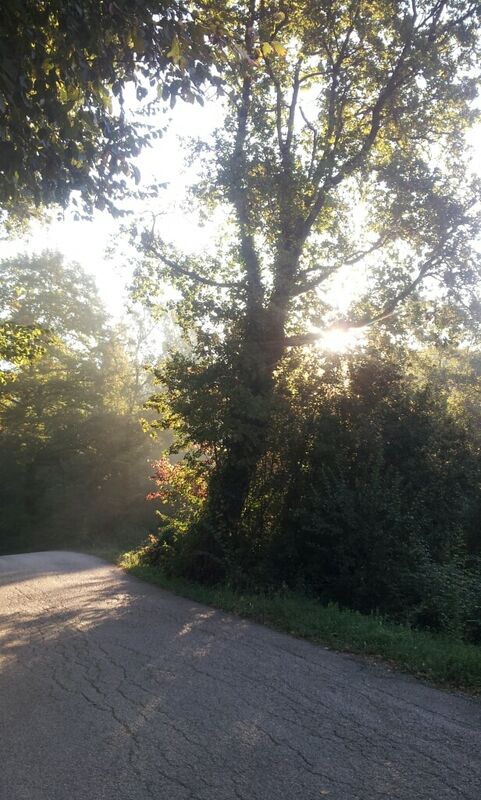 But it didn’t take long to figure out and we were on our way south towards Perugia. What made us stay here was my mum. 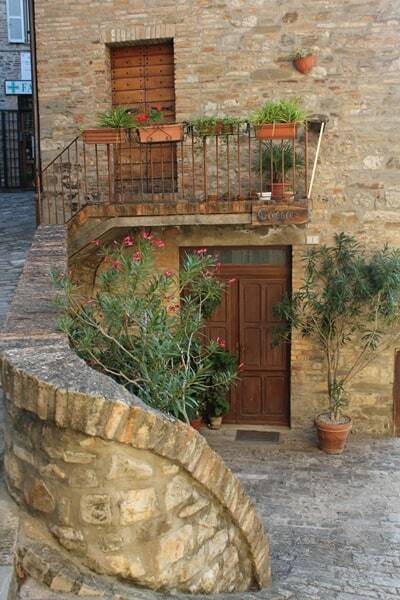 She had seen this place advertised in a magazine and some Australians actually own Casa Valdeste where we stayed. It looked perfect. 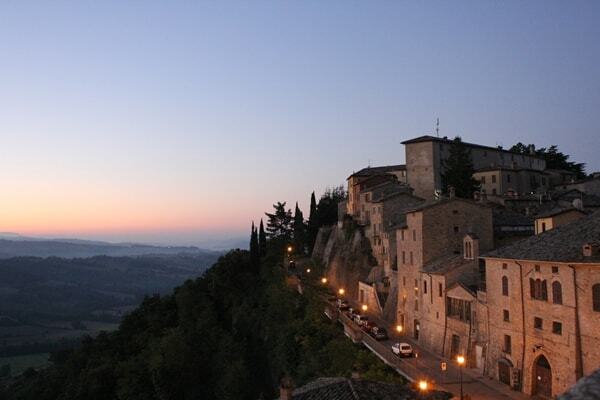 Montone was founded between AD 800 and 1000, is a working village. 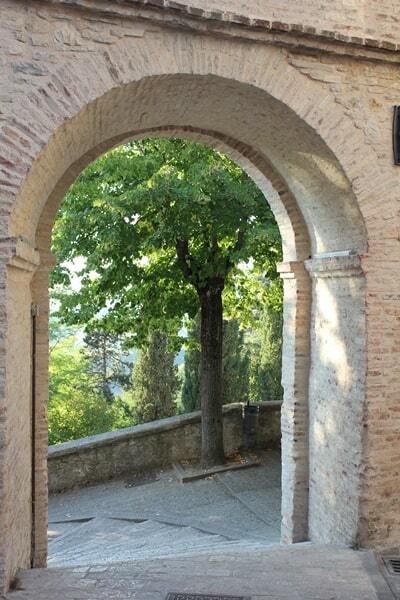 The village is set on a small mountain, 482 metres above sea level, and is within easy reach of a large number of delightful medieval towns and cities in Umbria and Tuscany. And it all sounds so perfect right? Well it was even more amazing than we expected. 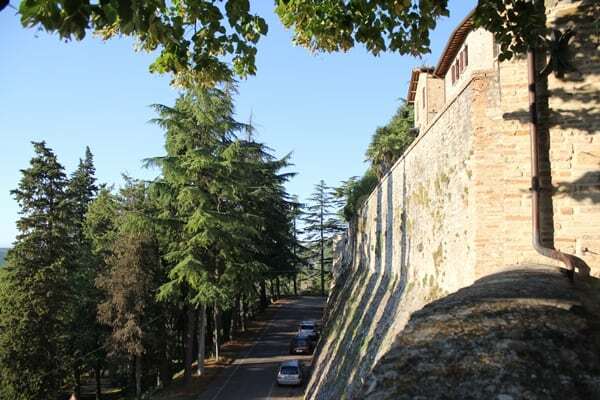 The village was inside/on top of this huge wall and from our window in Casa Valdeste we could see everything. And when the fog rolled in you felt like you were in the clouds on a mythical floating island. 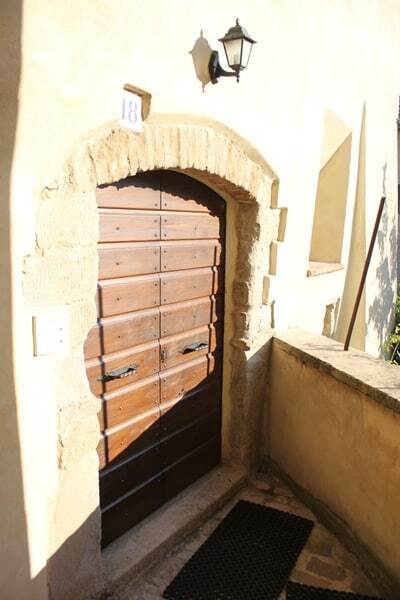 Below is our door to Casa Valdeste. You can see more at Steve’s website here. From his website is the description of our little place. 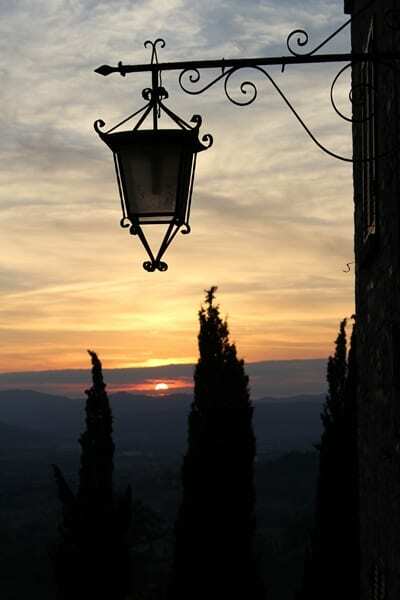 Accommodating four guests, Casa Valdeste is a beautiful late 14th-century, terrace-style two-bedroom cottage on three floors, 60 metres from Montone’s centrepiece, Piazza Fortebraccio, the main square in the medieval village of Montone. The walls are of stone, about one metre thick and buttressed on the south-western side. The house features huge oak and chestnut beams on all ceilings, double-glazed chestnut windows, world-renowned Cotto d’Este floor tiles and exquisite ceramic wall-hangings. 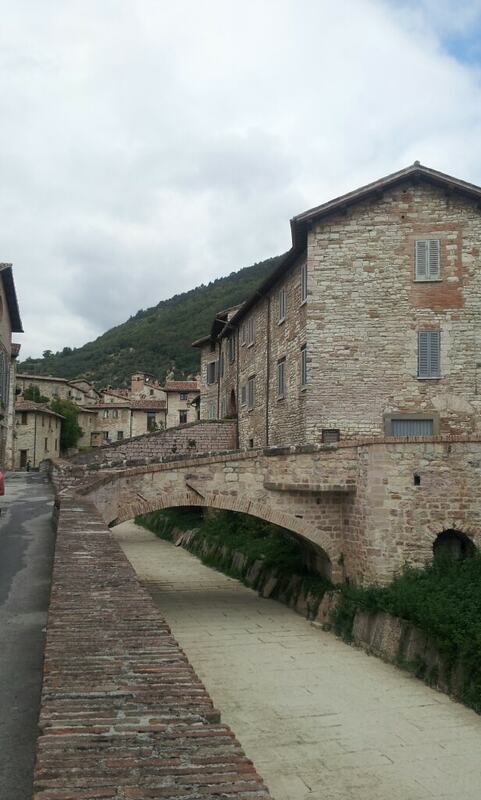 I have heaps of photos all just from Montone. 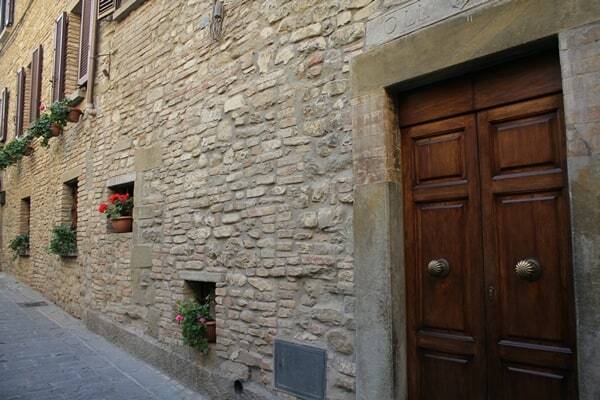 Every door we wanted to steal and bring home, the walls, the windows and shutters. It was heaven. I’d go back again in a heartbeat. We were like kids searching out every nook and cranny, places hidden away around arches or through tunnels. Is it not just the most gorgeous place? Below is one of the main entries into the village. And the lights. I loved the lights! The view from our little mountain was breathtaking. We would sit for ages just watching. 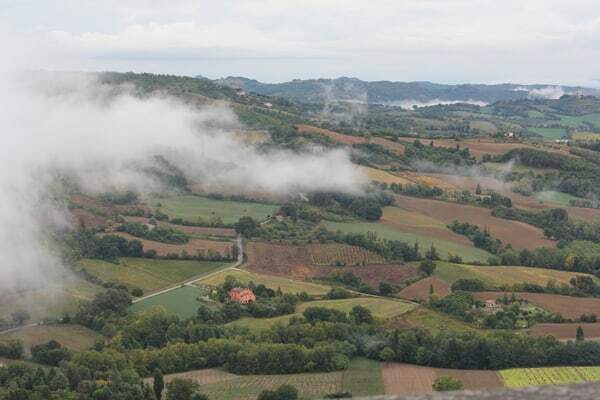 We used Montone as our base and drove around this area to Perugia, Gubbio, Umbertide etc. After 11 days we were soon becoming familiar with the area. 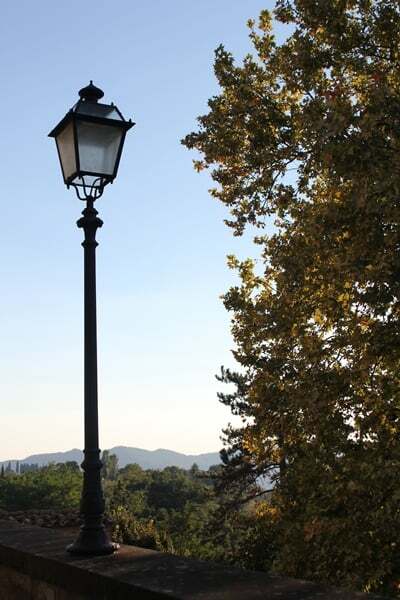 We would drive to the nearby train station and did trips to Florence, one to Pisa and also Lucca. 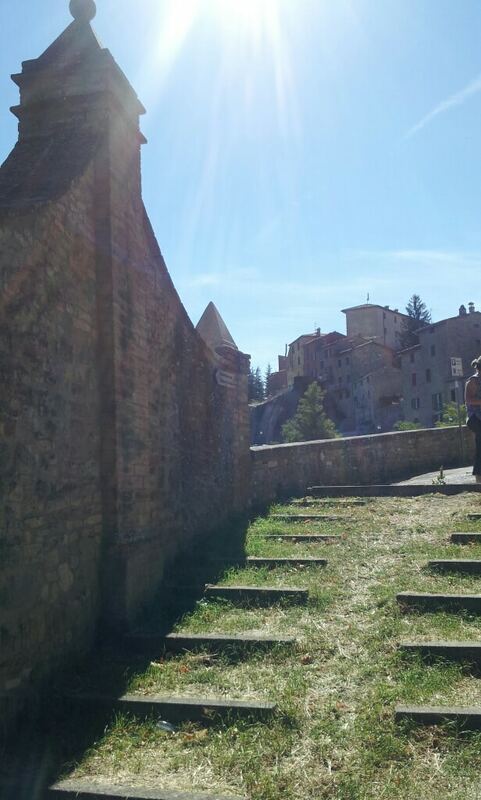 Below is the medieval town of Gubbio. 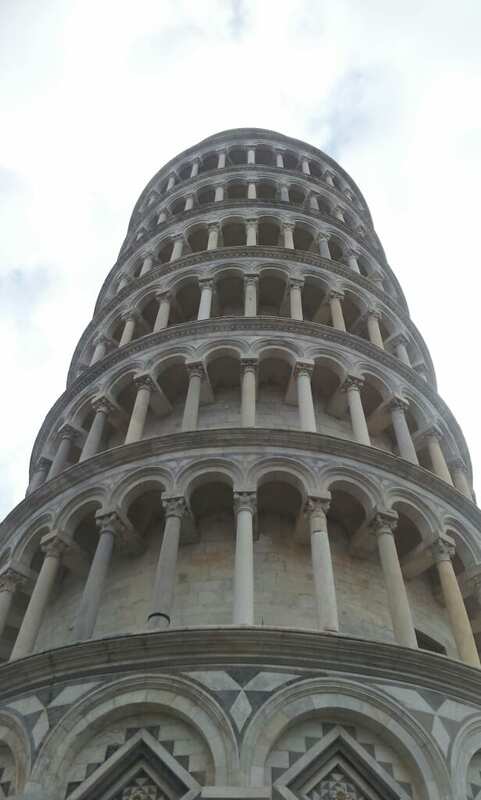 The leaning tower of Pisa! 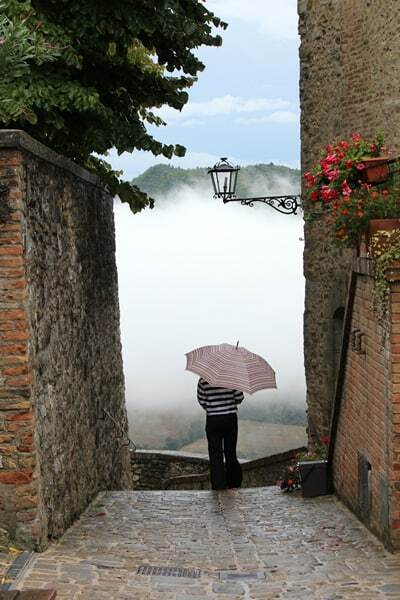 It was a sad day when we packed up to leave Montone and head to Rome. This was a big highlight of our trip and if anyone is thinking of travelling to Italy I recommend staying at Steve’s place. It felt like we really got to experience the heart of Italy. I love all these photos but I think my fave is the one with the umbrella. Montone is on my list now. It’s just the sort of place we’re looking for when we get to Italy. Somewhere away from the touristy stuff. 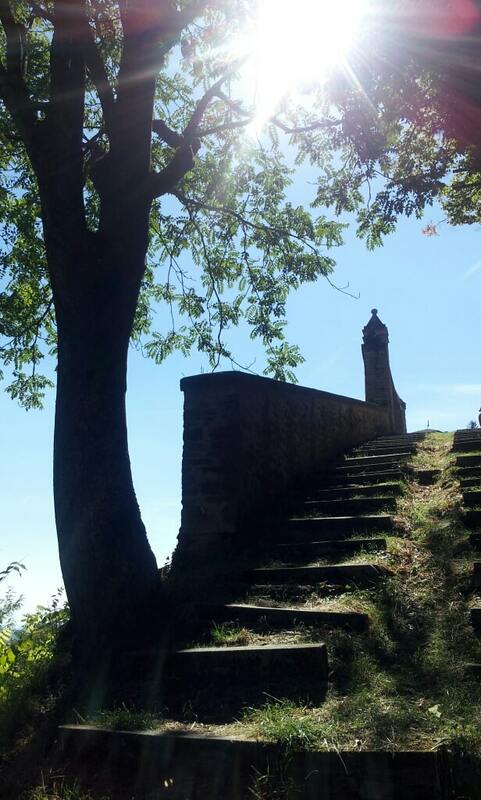 Lovely photos – they brought back so many happy memories of our time in Montone, also at Casa Valdeste. 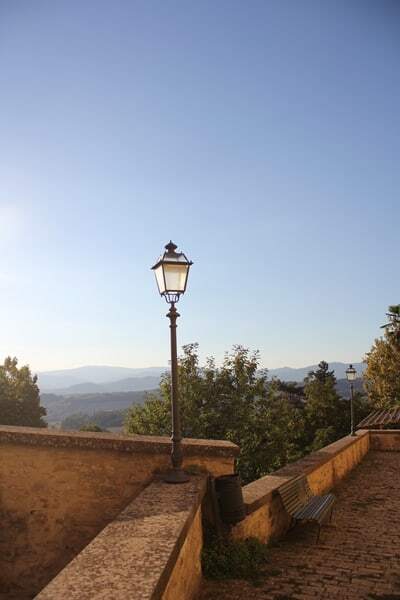 I agree that Montone is a spectacularly beautiful village and Casa Valdeste is perfectly placed right above the main piazza. 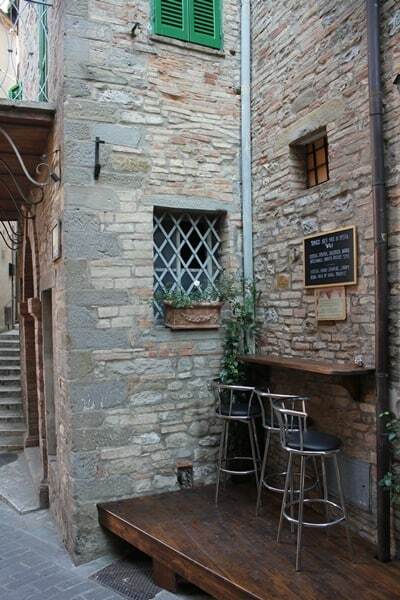 We did many day trips to picturesque villages nearby but we also enjoyed having a quiet day in Montone, sipping coffee in the piazza and watching the locals go by..